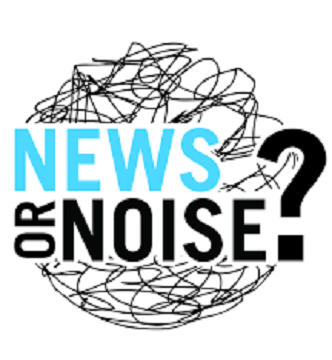 Over the last several weeks we have discussed “news being news because it’s news” and how noisy it is getting in the world with the election year in full swing, the polarization of politics, media sensationalism and the stirring up of issues with an agenda to divide our society. Is it noisy enough for you? Two national conventions stirring up politics of polarization have given the national media plenty of opportunity to be loud. Local law enforcement facing challenges in several cities across the country and another ISIS terror attack somewhere in the world all seem to have the volume ever increasing. Noisy indeed! Fighting through the chemo attacking the stage IV Melanoma, the pain was intense. 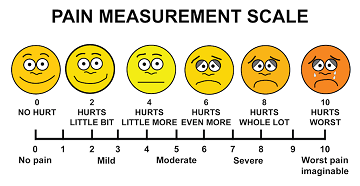 When visiting my brother in the hospital, I saw a pain chart on the wall that had a smiley face at the top, a frown face on the bottom and several in between reflecting progressive expressions. The nurse explained to me that they used the chart to manage the pain with drugs - it was important for the patient to not waste any energy fighting the pain. Whatever energy a patient has needs to be focused on fighting the cancer. “We hold these truths to be self-evident, that all men are created equal, that they are endowed by their Creator with certain inalienable Rights, that among these are Life, Liberty and the pursuit of Happiness.” Just over 240 years ago the Founding Fathers of these United States of America rebuked the tyrannical rule of the King of Great Britain with the signing of the Declaration of Independence. 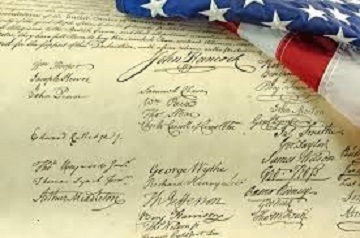 With their signatures, they documented “firm reliance on the protection of divine Providence” and mutually pledged “to each other our Lives, our Fortunes and our sacred Honor.” Life-giving indeed to the generations that followed!